Bieber, Justin – Shortly after arriving in Germany last week without the proper papers, the pop star’s monkey was quarantined. This is somehow not a euphemism. Gummer, Mamie – Meryl Streep’s daughter Mamie Gummer and her husband, Ben Walker, are calling it quits after just two years of marriage. We know what you’re thinking: Meryl Streep has a daughter named Mamie Gummer? Guthrie, Samantha – The internet is abuzz with speculation that Guthrie flipped Today co-host Matt Lauer the bird during a live spot. Guthrie denies it, but even if she did, it’s probably the nicest reaction Lauer has received from his co-hosts in a while. Probably not playing Richard Pryor. Pryor, Richard – Anyone waiting a couple decades for a Richard Pryor biopic should know about a new development. Director Bill Condon, who left the project for the last two Twilight films, has been replaced by Forest Whitaker. 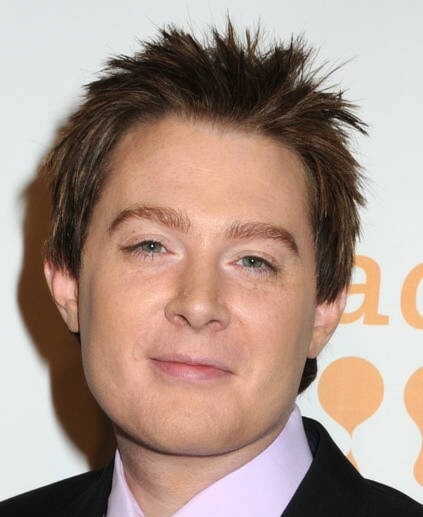 Those of you who thought the news was that Clay Aiken was going to play Pryor can now rest easy. Rock, The – Huffington Post writes that when a franchise needs a jolt of energy, it calls in Dwayne “The Rock” Johnson: “The 40-year-old actor has become a savior of stale film series, injecting new life into ‘Fast Five,’ ‘The Mummy Returns,’ ‘Journey 2: The Mysterious Island’ and now ‘G.I. Joe: Retaliation.’” I’m going to let that sentence stand as its own joke. Mayer, John – The “Wonderland” singer says he had botox not for aesthetic reasons, but to fix issues with his throat. The procedure left him unable to speak for an extended period of time, with Mayer saying, “I probably had contiguously three, maybe four months of not saying a word. The endurance was tough for me, but I started a new life.” The sad ending to this story is that Mayer’s voice returned.